The Big Bite Swimming mama has the same profile as the popular YoMama, but features a twin tail. The twin tail adds a nice swimming action to attract fish from a distance. 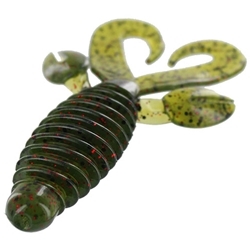 It performs great on a swing head or when fished Texas rigged.